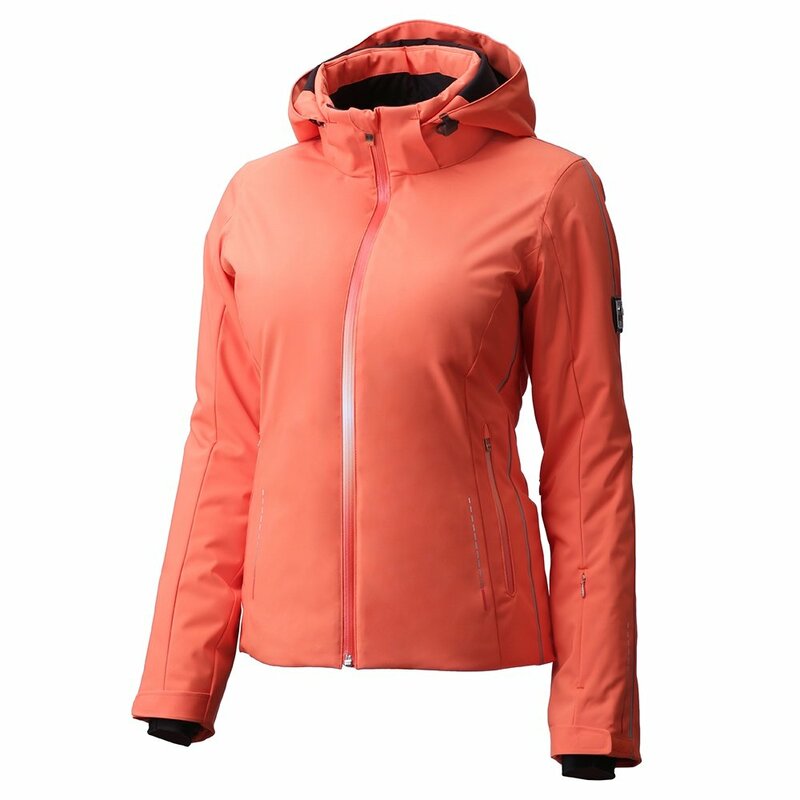 One of Descente's signature pieces of women's outerwear, the Descente Brynn Insulated Ski Jacket combines performance, style, and athleticism at a very high level. It's perfect for the most demanding of skiers, who also want to look great. The EnerG Stretch fabric offers 20K/20K weatherproofing and works with a Motion 3D™ cut for a more flattering fit and empowering movement. A combination of synthetic and sunlight-harnessing Heat Navi insulations keeps you warm. The Brynn is absolutely loaded with features, including a powder skirt, Lycra® cuffs, waterproof zippers, a pass holder and a media pocket. "Does this jackets Hood have the buttonholes to button on Fur Trim?" "Thank you for your inquiry. The Descente Brynn Insulated Ski Jacket does not have snaps or holes to attach a fur trim. We hope this information helps! "